Hyundai Creta Diamond Edition with panoramic sunroof: This is IT! 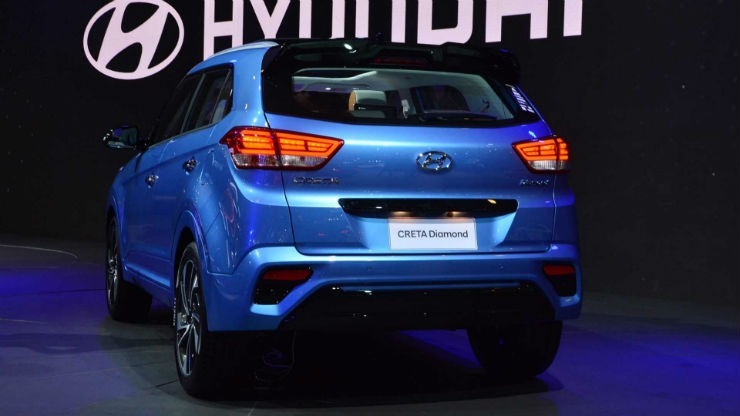 Hyundai Creta is the segment leader in the Indian market and sells close to 10,000 units every month on an average. The Creta is a global car and is very popular in the developing markets like India and Brazil. During the Sao Paulo Motor Show in Brazil, Hyundai officially showcased the Creta Diamond Edition with many new additional updates. The special edition model is based on the top-end version of the Creta in the Brazilian market, which is known as the Prestige. 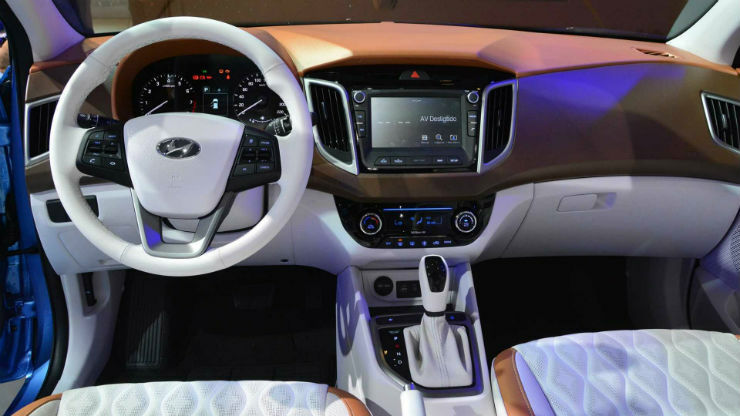 Hyundai has made the compact SUV plusher by adding features like quilted leather seats with three colour options. It also gets a new body paint. Hyundai is known for their extensive list of features and the Creta Diamond edition too is loaded to the brim when it comes to the features. The vehicle gets a panoramic sunroof that opens up very wide and allows the rear passenger to enjoy the sunroof too. Other changes done to the exterior includes smoked headlamps and new tail lamps with a new signature LED element. The Diamond Edition also gets beautiful looking 19-inch diamond cut alloy wheels with 245/45 low profile tyres. The interiors of the Creta Diamond edition have been upgraded with a new dual tone dashboard that is finished in caramel and ivory. The regular materials have been updated with new soft-touch ones that make the cabin feel extremely luxurious. Hyundai has also added a new multimedia screen that is larger than the stock and measures 7-inches. The sound system has been upgraded too and the Diamond Edition gets 750 Watts JBL Surround Sound system with three amplifiers, six-speakers and a subwoofer. It also gets rear seat entertainment system with two 10-inch screens mounted for the rear passengers. The rear screens can play media from USB, DVD, HDMI and internet streaming. Mechanically, the Creta Diamond Edition gets a 2.0-litre turbocharged petrol engine that develops a maximum of 156 Bhp and gets a six-speed automatic transmission. However, it is not known of the vehicle will be sold with the similar specs. Hyundai may not bring the vehicle as is to the Brazilian market. Instead, they will provide aftermarket accessories and features that would transform the lower variants of the vehicle to look and feel like it. It is not known of the leather seats would be provided as covers or upgraded seats. 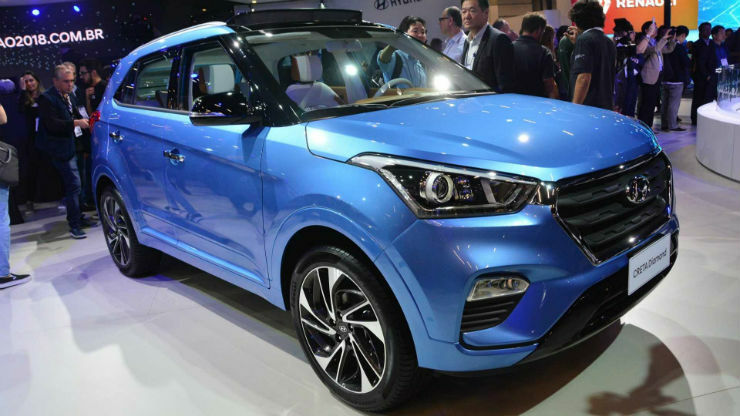 In India, the Hyundai Creta is very popular but we may not see such an edition in the Indian market anytime soon. Hyundai may offer accessories to the customers to upgrade their vehicles though. The Hyundai Creta takes on the Renault Duster in the Indian market but soon will face challenges from the likes of Nissan Kicks and even Tata Harrier. 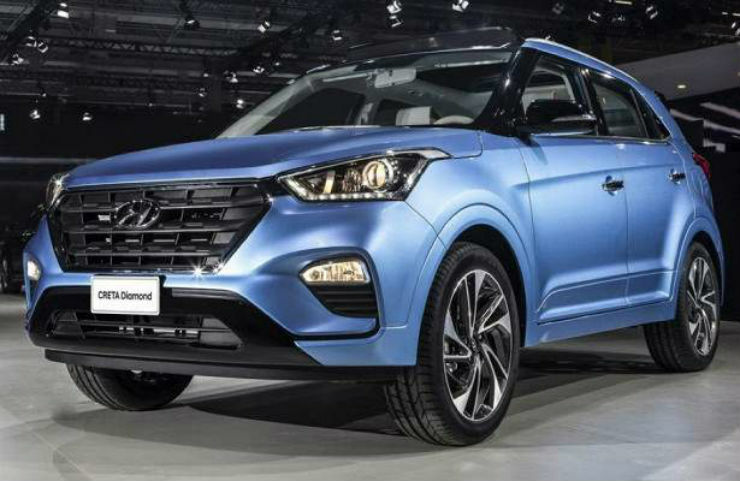 Hyundai updated the Creta with a new front-end and a few additional features like wireless phone charging and a sunroof earlier this year.